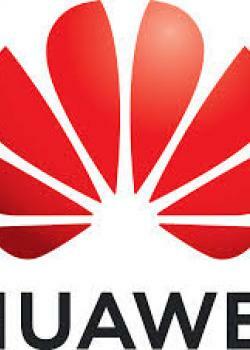 Huawei has partnerships with Bluesky and Digicel, deploying 4 and 4.5G networks across Samoa. Chief executive officer Toleafoa Tiafau Douglas Creevey said so far, Huawei is fully compliant with Samoa’s regulations and its technology is “industry leading,” so Bluesky will continue to work with it. “As far as we know, we don’t have the required evidence or information on those national security concerns. “We are listening closely for further information and to see what comes out of those blocks in New Zealand and Australia,” Toleafoa said. As to whether Bluesky would consider investing in, or blocking an offer to develop a 5G network, Toleafoa said that is still too far away. “5G is still in its design phases, and that decision would have to be made in conjunction with the regulator,” he said. Speaking to the Samoa Observer, Prime Minister Tuilaepa Dr Sa’ilele Malielegaoi would not confirm whether he would follow New Zealand and Australia’s lead. Responding to whether he would consider stopping the Chinese telecom from building a 5G network, Tuilaepa said he would respond when the situation arose. The United States has also banned Huawei from selling equipment for security reasons. Samoa’s regulator, Lefaoali'i Unutoa Auelua-Fonoti also said she had not seen evidence to back up the concerns expressed by the other countries. “I would be very concerned if I did see evidence, but I haven’t seen it yet,” she said. Digicel chief executive officer Farid Mohammed said he would seek responses to questions from his global leadership team. Meanwhile, Samoa still needs old networks like 2G and 3G, and it may be a while before it’s time to switch them off, the regulator has said. Following comments made by a representative of Huawei in Samoa last week that service providers ought to switch off old networks to make space for better ones, regulator Lefaoali’i Unutoa Auelua-Fonoti said that may be the case in bigger countries, but Samoa is different. “I completely understand if that’s how they think because the world is moving forward, but at the same time, they have to give us some more space,” she said. “In the Pacific we don’t have the resources like they have overseas, the money that they have overseas, and that’s the difference. Thanks to collaborative working relationships with Samoa’s telecommunications companies Digicel and Bluesky, Lefaoali’i said she’s happy to give time and space for development. “They invest their money in a lot of other things, not just investing in moving onto 4G and 5G and as a regulator; I give them time to do that. A decline in voice and other services also has to be taken into account which service providers have to contend with as well, she said. Digicel and Samoa have positive working relationships with the regulators office, Lefaoali’i said, so penalties or coercion are not necessary at this stage to encourage the companies to do progress. In the meantime, Samoa is not rushing to switch off older legacy networks. “We’ve been using [2G and 3G] for the last decade, and we’re happy with it, everyone has gotten connected, has access to a mobile phone.